The Everly Set– Starring Sean Altman (founder Rockapella) and Jack Skuller (Songwriters Hall of Fame Holly Prize) this show takes your audience back to 1957 when teens Phil and Don Everly first supercharged the vocal sound of Rock’n’Roll with sparkling harmonies that influenced The Beatles, Simon & Garfunkel, The Beach Boys, The Hollies, and the Bee Gees. With charted hits from 1957 to 1988 the show features songs like Bye Bye Love, Wake Up Little Susie, Cathy’s Clown, All I Have To Do Is Dream, When Will I Be Loved, and many more classic hits. 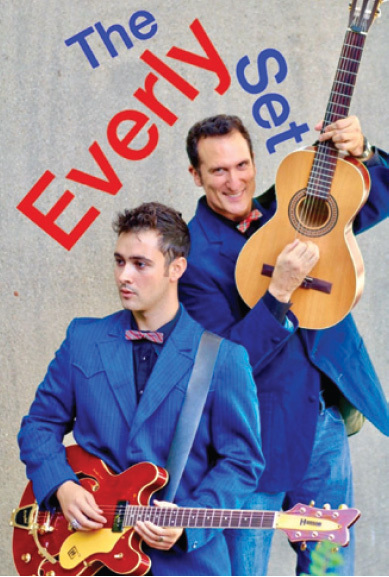 Available as a duo or quartet, “The Everly Set” is sure to get your audience up singing and dancing in the aisles!